We're pleased to announce that the Portuguese India chapter is now available for individual sale and as a free download to subscribers. 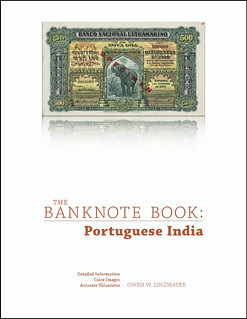 Currently 276 chapters of The Banknote Book have been published as individual high-resolution PDF files. This represents a total of 5,308 pages covering 49,144 types and varieties.